Easier to open– Since these windows have easy to turn crank hardware at the bottom they are easier to open than standard double hung or sliding windows which require more leverage. For a universal design bathroom or kitchen remodeling project these windows can be opened by people of all abilities (whether they are small, confined to a wheelchair etc.). Maximize air flow – The entire sash in a crank out window opens to the outside to let the most air in of any window type. 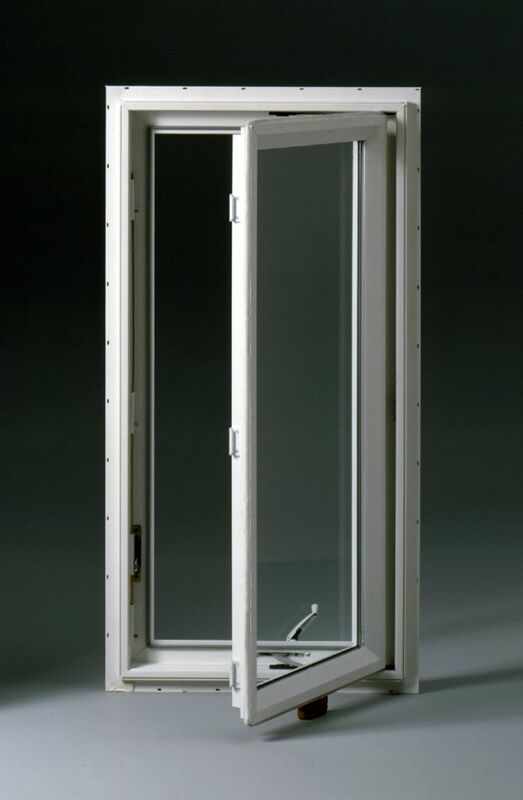 Provides a larger opening space to serve as an egress window – If you’re looking to improve safety (or comply with a local building code) in the case of a fire having a window which provides enough open space to escape can be the difference between life and death. 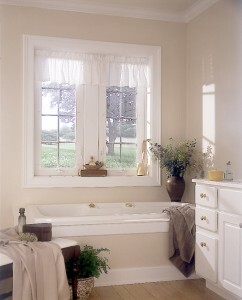 With their larger sashes a casement window can be the perfect solution. Add a luxurious look – A wood or vinyl window can be a major upgrade to the interior and exterior of a home. If you want to add an entire new architectural touch add decorative glass window sashes in various styles, bevels, grids or cut glass patterns (Colonial, Diamond, Prarie, Frank Lloyd Wright or a few of the options). 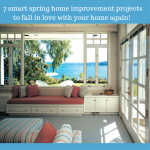 Save money on heating & cooling bills – Single pane windows can kill your budget! Thermal windows with energy star glass packages can pay for themselves in a short time. Sashes are more exposed elements – Since the windows open to the outside the window sashes are more exposed to outside climate conditions than double hung, slider and hopper window operating styles. This may be more of a challenge with a wood window than a vinyl window. Screens on the inside – Since this window opens out the screen is on the inside which could be a problem if you have a cat or dog who likes to scratch. This problem can be overcome by using pet friendly screening material. Smaller children having the ability to open these windows – Since the mechanical crank is at the bottom of the window frame it is easier for everyone to open ….including kids. These windows are very popular for hard to reach window openings (above sinks, countertops, in bathrooms, kitchens, attics/upper story spaces etc.). Do you have any questions or advice about using a casement replacement window? If so please comment below. To learn more about wood or vinyl casement windows or to get free consultation contact Cleveland Window Company (216-531-4118) or Clear Choice Window & Door in Columbus (614-545-6886) or in Cincinnati (513-744-2184) – divisions of Innovate Building Solutions.